Taylor Swift is no stranger to love. In fact, some might even say that she has made a career out of dating and breaking up. 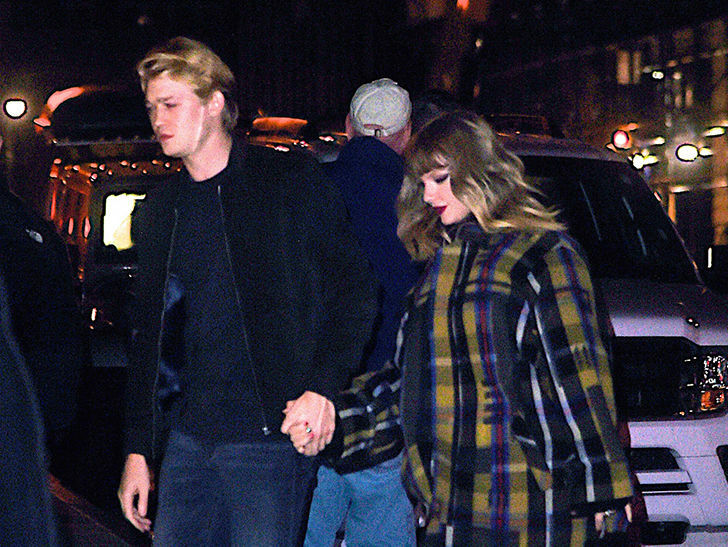 But just in case you missed it, Taylor has found another romantic interest in Joe Alwyn. The couple kept their romance out of the spotlight for quite some time, but in recent months, the duo has been spotted out and about together on a number of occasions. Having played out plenty of high profile relationships over the last decade, Taylor is conducting a mindful, quiet romance with Joe. Her relationship with “The Favorite” actor seems to be one of the most substantial that she has had in years. This relationship had been brewing for a while but seemed to have gotten pretty serious to keep Taylor from an award show where her album “Reputation” was nominated and a fan favourite to win. Wow, that’s pretty important! So what is so different to Joe than any of TayTay’s exes that she’s not so public about? Keeping her love life away from the media hasn’t been Taylor’s expertise all this while, but there’s’ a huge change to her current relationship with Joe. Because they’ve managed to keep the details of their relationship private, it’s likely they’ve been together since early 2017. Apparently, Joe has been responsible for teaching Taylor how to value privacy and gave her more reason to feel more blessed and content than ever. A source has revealed that Joe has really showed her a different lifestyle and the value of privacy. Also, Joe has been very supportive of Taylor’s work. We’re not saying her exes were or weren’t supportive of her work, but it’s good to know that Joe, who’s relatively new to the business, is not threatened by her fame and success. Sources said, “They seem to be on the same page. Joe is getting to know Taylor’s parents and everyone likes him. He is very supportive of her work.” Well, in that case, Taylor has took the right by skipping the 2019 Grammys to be by his side and support him during the BAFTA Awards in London. One can agree – distance doesn’t matter when you’re in love. The couple doesn’t live close to one another — in fact, there’s an ocean between them. But that hasn’t stopped them from spending plenty of quality time together. Taylor has flown in via private jets and her security has made it a military-like mission to prevent her from being seen. Joe is not an exception as well when he has also flown to the U.S. multiple times to be with his girlfriend. Those who know the couple say that Taylor and her man really enjoy being with each other, and things are going well between them. “Her decision to keep her relationship with Joe quiet is making her happy,” a source said. Did you hear that? She’s the happy! Sounds like TayTay is finally living her best life. So, good job, Joe! Cheers to a relationship that makes both happy! Yay! Taylor hasn’t been particularly good at relationships in the past. And then came Joe Alwyn. With all the goodness that he’s been bringing to Taylor, it looks like this one might be sticking around for longer than any other celebrity she has dated. BirdBox Date with Hafiz, Guibo & RD !